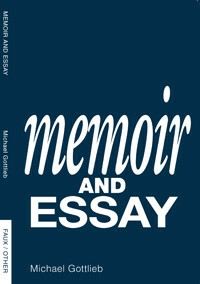 Note: Michael Gottlieb’s Memoir and Essay was published in 2010 by Faux/Other press. It includes a memoir, “The Empire City,” which explores the early days of Language poetry, Gottlieb’s development as a writer, and New York City in the 1970s. An accompanying essay, “Jobs of the Poets” (first published in Jacket in 2008) is structured as a series of questions and responses exploring the nature of poets’ day jobs and how these jobs relate to their poetic work.